Kevin Mackin is an accomplished trial attorney who has been practicing for over 30 years. He has a diversified and varied background in defense litigation on behalf of insurance carriers, governmental entities, homeowners’ associations, and self-insured corporations. He has considerable trial experience with over 45 cases to jury verdict and currently has an application pending with the American Board of Trial Advocates. Kevin has extensive skill in arbitration and mediation as a participant , and as a former member of the arbitration panel of American Arbitration Association, and as a settlement judge pro tempore. This has allowed him to develop an astute ability for evaluating cases and recommending efficient solutions for settlement, or alternatively, preparing the case for trial. 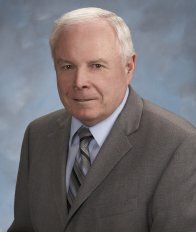 Kevin has practiced in multiple areas including general personal injury, catastrophic injury, trucking and transportation, government tort liability, land subsidence, professional negligence, employment, construction, and served as national coordinating council for a national manufacturer of automobiles, motorcycles, and power products for product liability litigation. Kevin enjoys traveling with his wife to tropical locations where he never misses the opportunity to scuba dive. As a former competitive weight lifter, he still enjoys weight training. To relax and unwind, he enjoys taking on large DIY home remodeling projects.